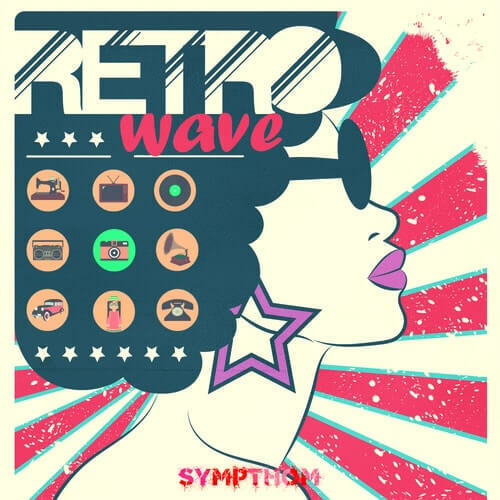 “Retrowave” straps you into Sympthom’s very own musical time-machine, transporting you back to the neon-lit, care-free groove of 80s Synth Pop, Disco and New Wave. Retrowave serum presets pack contains fat and beefy basses, creamy vintage leads, nostalgic pads and classic style synths will take you back to the 80’s! The Retrowave serum presets soundset contains 50 patches for Serum covering such sonic territory as 70’s funk sounds, 80’s new wave, italo disco, breadance/early hip hop, space music, and oldschool house/techno. The sounds are for Synthwave, Retrowave, Future Electronica, Synthpop, Chillwave, Future RnB, and Pop genres. And of course you can use them in any other genres to add more 80s synth textures to your music. Power up this finely-tuned neo 80s musical engine and inject a sound dripping in character into your next track – download “Retrowave” now!